Trinity has a sleeve covering her right arm. 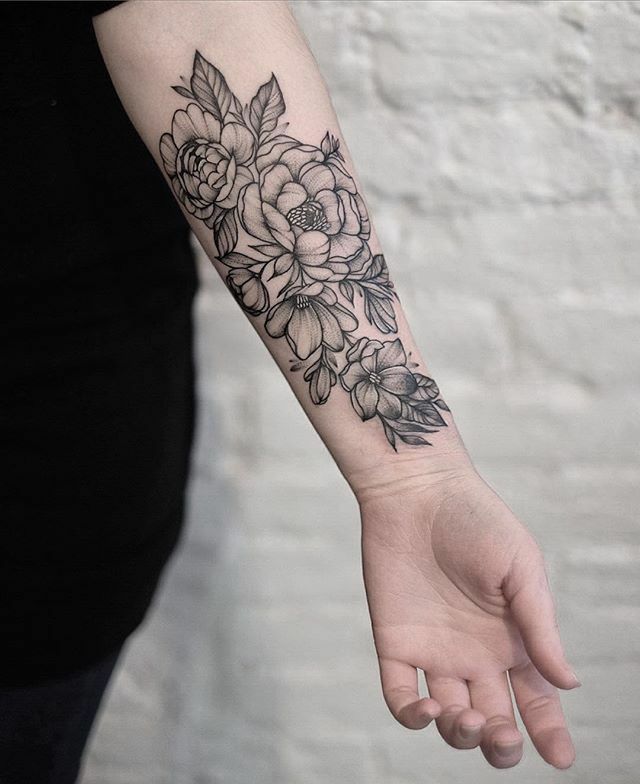 The sleeve is a collection of realistic, black and white flowers. After having been bound to her geist, Trinity added a snake to her sleeve. The body of the snake is slithering through the flowers, and its head rests on the back of her hand.